Are you ready for Roblox? You, as in the parent of a child who has probably been bugging you to sign them up for a Roblox account. As the parent of a child eager to design, build, and play games. As a parent who worries about keeping your child safe online. Raising healthy, engaged, creative kids in today’s connected world demands real tech parenting superpowers. Beyond being a digital hero with routines in place to manage family screen time, parents also act as curators, crossing guards, and creative problem solvers—choosing products, attending to their kids’ online safety, and helping their kids make the most of their time online. You can find helpful guides to Roblox from trusted sources like Common Sense Media or watch how-to videos to help your child get started. Alternately, I’ve written this post to explain tech parenting superpowers you’ll need to help your family get the most out of the game. Explain what Roblox is to other parents in a straightforward way. Know how to use Roblox’s tools and settings to maximize your child’s online safety. Understand why kids watch Roblox on YouTube. Know how Roblox’s scripting language gives kids practice in text-based coding. Understand how Robux work and what to watch out for. Roblox is not a game, per se. It is a massively multiplayer online game creation platform where kids can play games created by other Roblox users or create games of their own using a free, all-in-one building tool called Roblox Studio. The platform and the games created by players are multiplayer; this means players are in a virtual world space with lots of other players. Roblox includes many settings to manage how players interact, including chat filters and online moderators. All content in Roblox is created by users. This means that all varieties of creativity are on display, including some content that may be inappropriate for your child. Google Roblox and a lot of what you’ll read relates to parental concerns about safety. Some posts warn parents off the platform entirely, while others take a more measured approach, urging parents to take advantage of Roblox’s parental controls, while also empowering kids to protect themselves. Learning how navigate Roblox’s parental controls and privacy settings offers a hands-on way to develop your online safety superpowers. You’ll not only learn a lot about how Roblox works, but will also gains skills you can pass along to your kids to help them develop good digital habits! Chat filters. Roblox uses filters to weed out bad words and other problematic language. This prevents inappropriate content and personally identifiable information from being visible on the site. Parents can disable or limit online chat, controlling which users your child can chat with. No chat means chat is disabled. Chat with friends limits chat to a list of users you approve. Without restrictions, users can chat with anyone on the site. Players under the age of 13 see and can say fewer words and phrases than players over the age of 13. Parents can add a PIN to their account which locks the account settings, keeping kids who might not be happy with the restrictions on their chat from resetting them. Click here to learn more about how to customize chat settings for your child. Human moderators. All user-uploaded images are reviewed by human moderators for inappropriate content before being posted. Moderators assist in proactively removing inappropriate content from chat. Curated lists. Parents can limit which games are available for play by their child through a curated list. This is done my enabling Account Restrictions in their account settings. Curating lists in collaboration with your child are a great way to learn more about your child’s interests, while also helping them to making choices that are age-appropriate. Reporting and blocking: Kid-friendly online communities are guided by a set of community rules linked to ways of dealing with violations of community norms. Roblox’s community rules outline expectations around player behavior, and actively encourage players to report inappropriate behavior. Learn how to report bad behavior and block users and make sure your child knows how to do it, too. I’ve written about why kids watch so many Minecraft videos, and the same holds true for Roblox. Watching Roblox videos can help kids stay in the loop of their social circle. 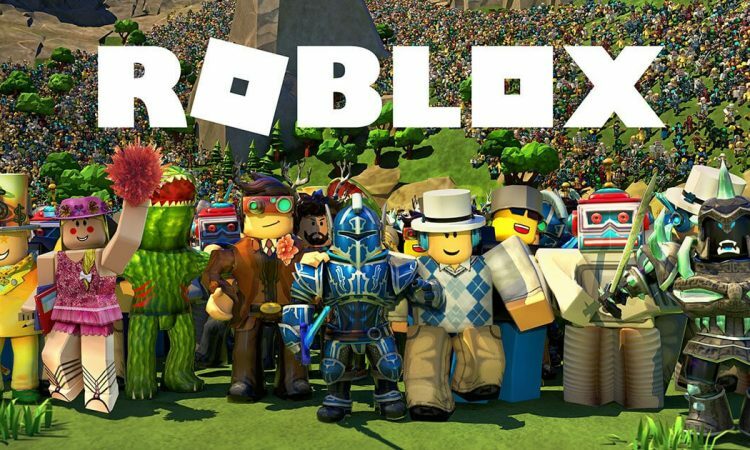 Kids without a Roblox account can learn the lingo and connect to popular personalities of Roblox in ways that allow them to remain part of a fandom they share with their friends. In addition, How-To videos help kids learn how to use Roblox Studio and hone their game design skills by learning from experts. Making games in Roblox is pretty straightforward. The platform comes with many ready-made templates that give beginners a place to start. But if your child wants to make a unique game, they’ll need to learn how to use Roblox’s scripting language, called Roblox Lua. Players use a drag-and-drop code editor to create custom actions, conditions, or game mechanics. In doing so they are exposed to programming concepts like loops, conditionals, arrays, and inheritance. Roblox has a helpful player community and many resources, including a wiki, to help players learn Roblox scripting. I’ve found AlvinBlox to be one of the best. Like Legos or Minecraft, what kids can make is limited only by their imagination. 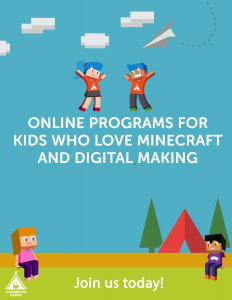 If you have a child that learns best in more structured environments, there are a number of organizations offering courses and camps in learning to code with Roblox. They include iD Tech, CodaKids, and Code Ninjas. Roblox uses an in-game currency called Robux. The currency is used for various in-game purchases, like outfits or animations, weapons or other tools, or unique abilities in games. There are a lot of different ways of getting Robux. The simplest (unfortunately) is to buy them straight out or get them as part of a paid subscription. Players can also trade for them with other players or even have someone donate them to you. If this sounds confusing, it can be. Players who create games or digital items in Roblox can earn real money from their creations. They do so by charging people to play their games on the platform using Roblox, the game’s virtual currency, or by offering pay-as-you-go in-game purchases. This makes Robux pretty appealing to kids. In-app purchases are not a new model, but it is one parents need to understand is at play in Roblox. You also need to know that Roblox uses a freemium/premium mode. The basic experience is free—players can play loads of games and download Roblox Studio. But if your child wants to explore all the platform has to offer, they’ll they’ll want to become a member of the Builders Club, which comes with additional features and a membership fee. As a parent and advocate for the positive potential of gaming, I see the opportunity in platforms like Roblox and Minecraft. They can help kids (and parents) learn about the risks and benefits of playing with others online. Roblox games are multiplayer games. They are social. For many kids, playing on a Minecraft server or joining the Roblox community might be their first experience socializing with others online. Take advantage of the experience as a chance to level up your tech parenting superpowers and explore all Roblox has to offer. A final detail: Roblox is available on PC, Mac, iOS, Android, Amazon Devices, and Xbox One.